Preschool teacher professional development and continuing education in Lexington, Kentucky. It’s late in the afternoon on a Tuesday. Thirty five preschool teachers are on the floor of Lori Barnett’s art room, their bodies bent halfway into empty, plastic, baby swimming pools. It’s likely these teachers have been hanging out on the floor most of their day with little ones who need their undivided attention, yet dedicated professionals, they are at The Lexington School to learn more. 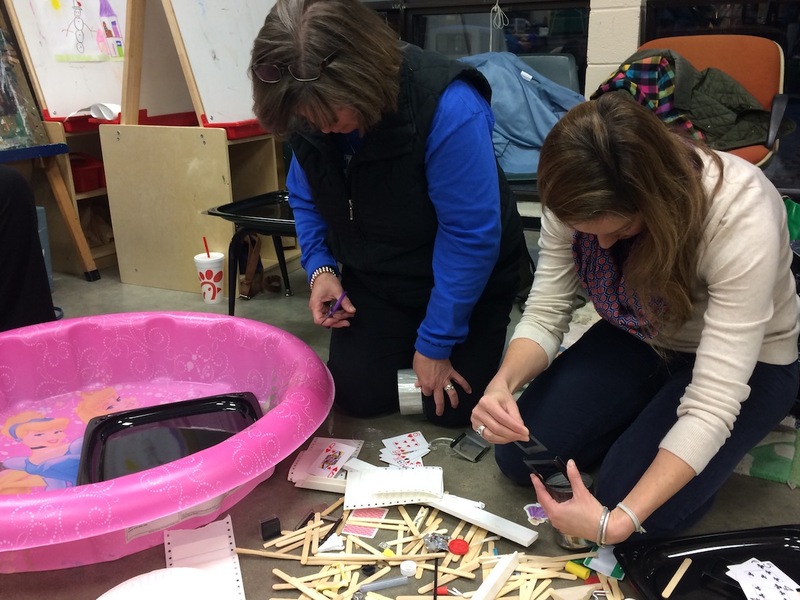 Thanks to The Mary Beers Professional Development Series, they will leave with what they want the most–creative, real ideas and activities they can take to their own classrooms tomorrow. Since 2004, The Mary Beers Professional Development Series has delivered on this promise. That’s why preschool teachers from all over the Lexington, Kentucky region attend workshops three times a year at The Lexington School. Named in honor of long-time, dedicated preschool teacher and Director Mary Beers, the program originally partnered with Georgetown College and offers certified state credit hours for teachers who attend. “When a teacher leaves the workshop on a Tuesday night,” says Director Jaci Sloan, “On Wednesday morning, if they want to, they could introduce a topic or an activity in their classroom that they’d just talked about the night before.” The program is real and actionable professional development for dedicated preschool teachers. Mary Beers would be proud. For more information about future programs and workshops, feel free to contact Director Jaci Sloan.